Au Kahiltna Placer Mine, Trapper Creek, AK, 99683 - Photos, Videos & More! The Kahiltna Placer Mine has 16 State claims - 1,000 acres of contiguous State property along the Kahiltna River at the south base of Denali 31 miles from the intersection of Petersville Road and Oilwell Road. 100 Mt. NW of Anchorage. Road accessible. Small production has been completed on the claims. Sampling and pilot process on the claims has inferred gold reserves to be 5Mcy.016 o/au/cy.
" Bill Babylon and his associate Sara Gee are a dynamic team with integrity and drive. They covered every detail of the selling process from day one, helped me through the stress of coordinating seller-requested updates while I was away from home, and took the time to advise me whenever I had questions. As a longtime Anchorage resident, Bill’s area knowledge and insights proved exceedingly helpful, and both Bill and Sara were highly responsive to all my needs. With the help of their excellent stager, I had an offer within three days of listing. Words cannot adequately express my gratitude and thanks for their successful efforts in selling my condo and I’d use them again in a heartbeat. " " We worked with Sara Gee his Associate. She is outstanding. I would highly recommend her to any of my friends. She made the entire process so easy. Anything we needed to get done she provided us easy access to, (e.g. phone numbers, web links, documents, etc.). She reminded us of items we needed to get done by certain dates and made sure everything was followed through. Sara is very personable, organized, and punctual. She helped us sell our home within a few weeks and purchase another. We met her when we stopped to look at the first home of many that she ended up showing us. She then proceeded to help us sell our existing home and find another smaller place just right for us. So glad we met her when we did. " " I listed my house with Sara Gee who works closely with Bill Babylon. She was my contact throughout the selling process and was very responsive to our questions and provided sound advise on each step from offer to closing. The photos of my house, arranged by Sara and used for Internet marketing were excellent. I had a solid offer within three weeks of listing. I would recommend this team for your future real estate needs. " " Bill was awesome. As a seller that needed to leave town early I was concerned about things getting done on my house so it could be sold. Bill took the lead and had things done correctly. I can't say enough good things about his knowledge of the area and how it helped sell my house. " " Bill is all the above! Thank you Bill "
- Pete & Mary K.
" Bill and Sara were great to work with, and would highly recommend them! " " Bill and Sara were extremely helpful when we recently purchased our new home! They were both very responsive, professional, patient, and gave excellent advice. They were available on both nights and weekends, and often went out of their way to meet with us or call us at convenient times to us. Our recent home purchase went very smoothly, and I can only credit our team, both Bill and Sara, and the excellent loan officer they recommended. I would not hesitate to recommend them, and if we are in need to buy/sell in the future, I will not hesitate to call them. We had an excellent experience, and we appreciated their help and knowledge greatly. " " Bill Babylon and his associate Sara Gee were very helpful in finding and acquiring my new home. I spent the majority of the buying process outside of the state of Alaska and this team was able to cater to my needs even from a huge distance. They offered a video walk through of the homes I was interested in guided by their own hands. They were able to send me documents to sign electronically. They also gave me great input about the homes we looked at with the goods and bads of what we were seeing. " " Works hard at preparing for a sale and working with homeowners. Willing to take extra effort to sale the house. Makes himself available as needed and provides recommendations. " " Bill and Sara made the selling process so easy that the property was sold faster than what we expected. We received multiple offers in a very short time. I would recommend them to anyone selling real estate in Alaska. Both are always available, very kind, respectful, knowledgeable and ready to answer your questions regarding real estate. Their network of people related to the business is vast and facilitates the process enormously. " " Bill is by far the best real estate agent we've ever had. He was there for us at ever step of the process, from our first conversations about listing our home, to the house prep, to the listing and, finally, through the sale. He was always on time, fully informed and kept us up on the latest news. Bill was always positive and friendly, a welcome smile during our sometimes crazy move. He helped us sell our home, but I would highly recommend him to anyone looking to buy or sell a house in the Anchorage area. " " Since switching agents over to Bill he sold my house within 2 months of it hitting the market. His assistant Sara was also very helpful in the process. " " We first contacted Bill about 8 years ago, we lived in Ohio. A great journey with a great agent! Bill & Team! " - Mark & Linda S.
" Sara was very responsive in all communication. She answered our questions thoroughly and made us feel very well taken care of. She also demonstrated great knowledge of the current housing market. I would recommend this team to a friend! " " Good personal service. Very good with monitoring closing item schedule and keeping the process happening as planned. Very attentive when needed for showings and questions. " " Had a handshake deal with my neighbor in selling my cabin. Needed the title and closing work done quickly and so I called Bill. He has sold my permanent residence in Anchorage, AK. Great to work with. Sensitive to the clients needs. " 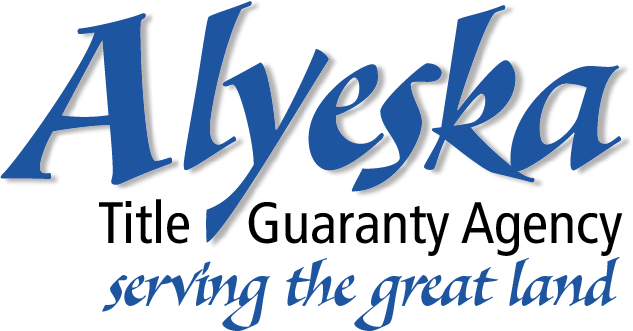 " Bill was the professional who helped us when we moved to Alaska ten years ago. His knowledge, understanding of the process of moving such a huge distance, and patience as we dealt with the sticker shock of Alaska housing prices guided us through to the best possible choice. Later, as we had questions about some remodeling we were considering, Bill advised us on the best choices both for our lifestyle and for resale down the line. Now, ten year later, we are unfortunately moving out of Alaska. We never considered listing our house with anyone else! Should we ever have the opportunity to buy real estate in Alaska again, we will definitely count on Bill, even if we have to drag him out of retirement. " " Prior to listing I got an accurate report on prices of condos comparable to mine. From this I felt comfortable setting a listing price. The agent (Sara) kept me informed on the number of potential buyers visiting the condo and their comments. During the selling negotiations I was satisfied with recommended strategy and advice on accepting the offers and counter. Sara provided recommendations on services that could address repairs that were required by the buyer. I got a fair price from the recommended businesses. The closing went smoothly and there were no surprises in amounts. " " Having bought/ sold over 8 homes, this was the best experience. Bill and Sara are great!! " " Bill was great, he helped us find a great home in a perfect neighborhood. He was knowledgeable so many things. His assistant Sara was wonderful also, always took time to answer any questions. " " Bill is exceptional. He is extremely responsive and a joy to work with. His colleague Sara Gee does a great job with staging. We couldn't be more pleased. " " Bill was great, but Sara was who we worked directly with. " - Summer E. & Ryan J.
" We worked with Bill Babylon's associate, Sara Gee ,to sell our lot on the Anchorage hillside. We were very happy with her and Bill efforts in attracting interest in the lot and staying on top of any issues that could affect the sale. Sara was efficient and on top of the market--pro-active in contacting local developers during the period that they may be considering procuring lots. We were also impressed by her competence in taking care of all sale requirement and working for a timely closing of the deal . " " Bill listed and sold my home in downtown Anchorage. During the 3 months between listing and contract Bill scheduled and held 3 major open house showings that kept awareness and interest high. I was away about 1/2 of the time the house was on the market and Bill maintained regular contact, along with quick response to questions and needs that arose. In addition, regular visits to the property ensured its integrity and appeal were maintained while vacant "
" This review is really for Sara as she is the person I dealt with. Sara was extremely wonderful. " " Bill was fantastic, cannot wait to purchase another property just to use his services. " " Already had a potential buyer when the property was listed on the MLS. After several offers the buyer raised their bid and the sale was completed. The process went very well after the bid was accepted. We were able to move the closing date to fit our schedule. " " The entire process went smoothly. Bill was always readily accessible, and his associate Sara Gee was also always on top of things. I would highly recommend Bill because of his real estate expertise, knowledge of our area and easy-going personality. Excellent service, we can't recommend him highly enough. " " 5 Stars for Bill!!! " " Bill and Sara are both incredibly knowledgeable, are thorough and have great communication. They made the process of selling our condo so painless and I cannot recommend them enough! Thank you so much! " - Ken & Joy W.
" They provided us with an absolutely wonderful experience, in all respects! Both have my highest recommendation. After having bad experiences with real estate agents in the past, Bill was a most welcome change. He was always on top of things, and made the confusing & complex process of selling our house a manageable, and even pleasant experience. Many times Bill went well above the call of his duties, to provide us with the very best representation and service. We highly respected and valued the helpful options he offered from time to time. Although no doubt representing a number of others, Bill always made us think that we were his exclusive clients. " " Bill was excellent as our realtor when we were searching for a home in Anchorage. Bill had very impressive knowledge of the area and he quickly provided ample homes for us to consider after he learned what we were looking for. He always had great advice and skillfully responded to all of our questions. Bill and his assistant Sara Gee kept us informed and helped us with every step of the process. We are very happy with our new home and would strongly recommend Bill Babylon to anyone needing a realtor in the Anchorage area. " " Bill and Sara are a fabulous real estate team! We would recommend their services very highly. We moved out of state, and Bill was extremely responsive, knowledgeable and a pleasure to work with throughout the selling process. " " Bill was very accommodating and above and beyond to answer any questions through the buying process. He suggested good contacts that he has to ensure the process went smoothly as possible. Both Bill and his associate Sara Gee are excellent. " " Bill Babylon & Sara Gee were outstanding. We have never had such competent real estate professionals before! " - Michael B. & Julie R.
" Thanks to Sara Gee for the great experience! " " Bill did a great job helping us find our new home and had plenty of patience for us along the way. He was professional and attentive and knows the market inside and out. " " Bill has been our realtor through the purchase of three homes and the sale of two homes over. We wouldn’t dream of using anyone else. He knew exactly how to showcase the features of our homes to their best advantage, provided us with any advice or support we needed, and knew how to play our local housing market well. When looking for our new homes, he made sure that we noted not only the good aspects but also any potential problems. He has been working in this area for a long time and is able to network you to the best person for any home related work or need you may have. He is a joy to work with and takes the time to get to know you as a family so he can help you find your right fit. " " Bill helped us through a relocation and took the time to explain processes, the documents we signed, and what to expect next on each step. He was very responsive and I would highly recommend him for his trustworthy and knowledgeable approach "
" Bill and Sara were great to work with. 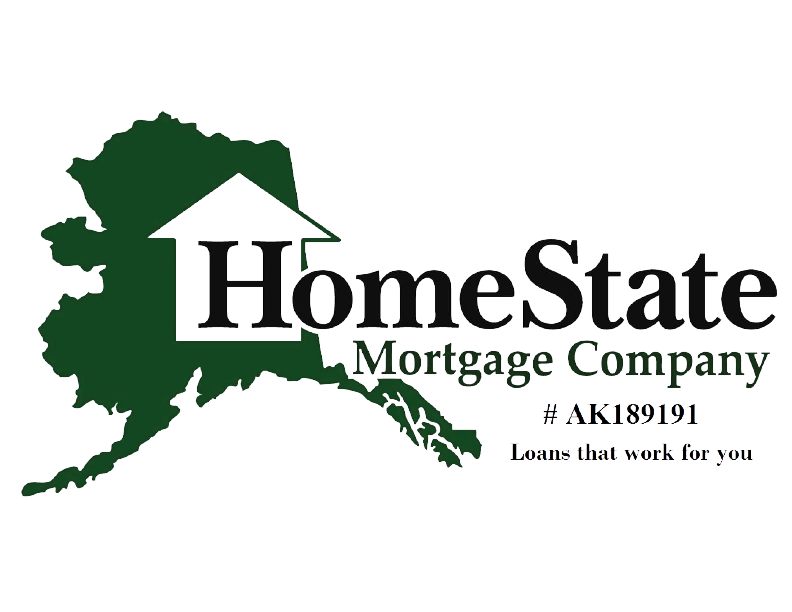 As first time home buyers and a new resident to Alaska, Bill was so knowledgeable and helpful for our process. He made sure that we knew everything about the process to prepare us to buy our house. Sara and Bill were super responsive and quick to answer any questions or set up appointments to see houses. Highly recommended!! " " We have moved and bought new homes numerous times and Bill Babylon was the best realtor we have ever had. He went above and beyond what I expected from a realtor and he treated it as if it were his normal protocol. Pleasant, well informed and a great negotiator are a few of his top qualities. I would highly recommend him. "